Golf At the Cape Club of Sharon. A championship golf course renowned for its sport as well as its beauty, The Cape Club of Sharon’s natural setting and expertly designed greens will draw you in. Gorgeous, wide, panoramic fairways, strategically placed bunkering and beautifully manicured, undulating greens. The Cape Club of Sharon’s golf course is as beautiful as it is challenging. 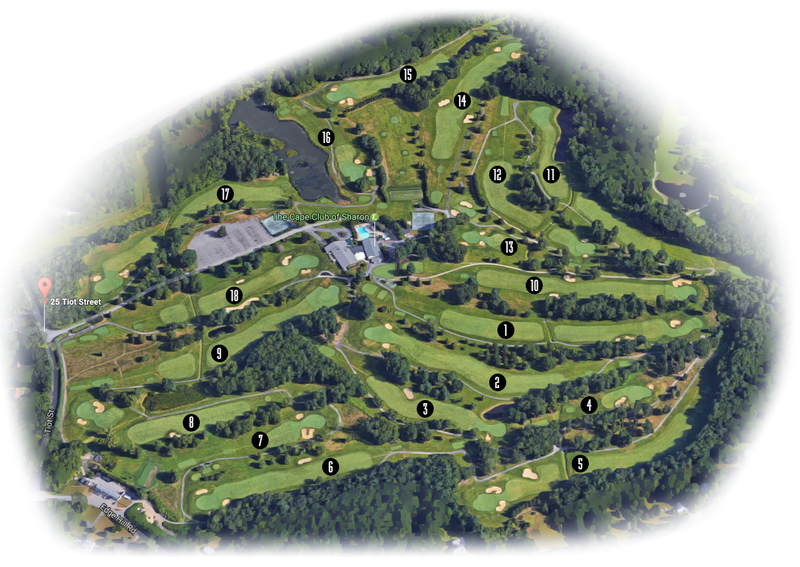 The par 72 course has been ranked among the top courses in Massachusetts having hosted the Massachusetts Open Championship, the NEPGA Massachusetts Chapter Championship, and the Senior Fourball Championship. The Cape Club of Sharon is also home to several Dana Farber charity tournaments and two annual LPGA golf clinics for women. Cape Club of Sharon course flyover from Ryan Ondrejko on Vimeo.